조선 선조 25년(1592) 부산첨사로 임진왜란 때 공을 세운 김호가 살았던 집이다. 17세기전후에 세운 것으로 추정하며 집터는 신라시대 절터였다는 설이 있는데, 주변에 통일신라시대에 만들어진 여러 석조물이 있고 마당의 우물돌은 지금까지도 사용하고 있다. 대문을 들어선 정면에 안채, 왼쪽에 아래채, 안채 오른쪽 뒤편으로 가묘(家廟)가 배치되어 있다. 원래 사랑채가 동쪽에 있었다고 하나, 현재는 자리만 남아있다. 안채는 앞면 5칸·옆면 1칸 규모에 왼쪽부터 부엌, 방, 대청, 방으로 단순한 구성을 이루고 있다. 집을 처리한 기법들은 옛 법식을 따르고 있고 대청 앞에는 문짝을 달았다. 대청에 문짝을 다는 예는 안동지방 북쪽에서 드물고, 경주, 월성 일대에 집중 분포하고 있는 것으로 발견되며, 그 중 에서도 특히, 이집은 오랜 수법을 보이는 예로 주목받고 있다. 아래채는 앞면 3칸·옆면 1칸이며 지붕은 초가지붕이다. 왼쪽부터 방, 방, 부엌으로 구성되어 있으며 굴뚝을 부뚜막 한쪽에 설치하여 구성의 특이함을 보이고 있다. 가묘는 따로 담장을 둘러 세운 맞배지붕집으로 안쪽을 모두 터 놓은 통칸으로 만들었다. 가장 오래된 민가 건물 중 하나로 옛 건축 수법과 독특한 구조를 지니고 있어 중요한 연구자료로 평가받고 있다. 지정 당시 명칭은 '경주탑동김헌용고가옥(慶州塔洞金憲容古家屋)'이었으나, 임진왜란때 의병장으로 순국한 김호 장군(?～1592)의 고택임을 감안하여 ‘경주 김호장군 고택'으로 명칭을 변경(2007.1.29)하였다. 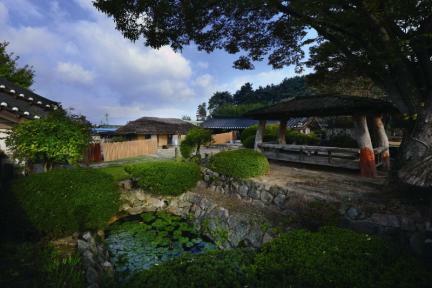 This house belonged to Kim Ho (?-1592), a military official who performed a meritorious deed during the Japanese Invasion of Korea in 1592, the 25th year of King Seonjo’s reign during the Joseon Dynasty. It is estimated to have been built around the 17th century. Legend has it that the house site used to be a temple site during the Silla Dynasty. 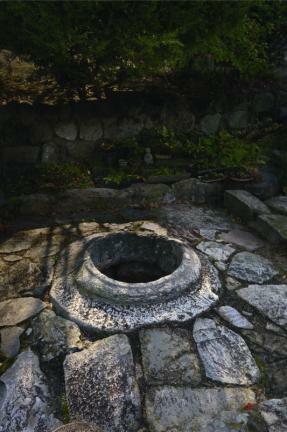 Several stone structures and a well, made in the United Silla Kingdom, still remain at the house. Kim Cheol-ha, a descendant of Kim Ho, is currently managing this house. 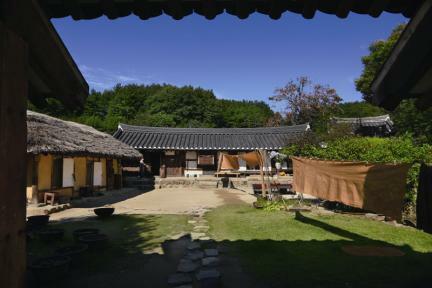 When one enters the house through the front gate, the anchae (women’s quarters) is seen at the center; the detached quarters are on the left, with a family shrine on the right behind the anchae. The sarangchae (men’s quarters) used to be in the east, but only the site remains. The anchae has five rooms on the front and one room on the side. 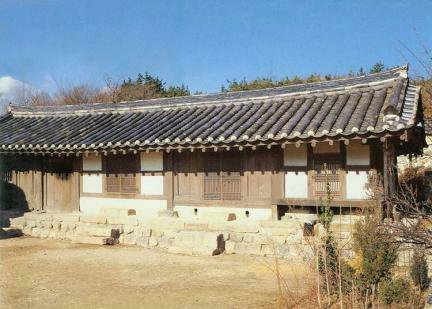 The main quarters have a simple structure arranged in order of kitchen, room, daecheong (wood-floored main hall), and room from the left. 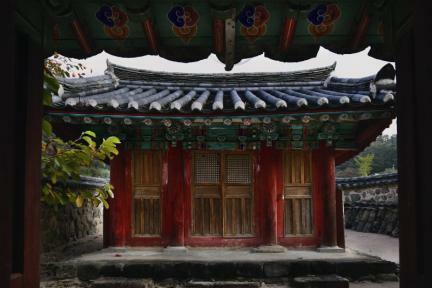 Note, however, that doors were installed in front of the daecheong, whose architecture style was rarely found in the Northern Andong region but was common in areas such as Gyeongju and Wolseong. 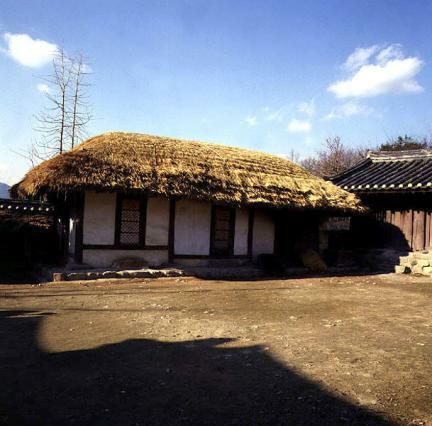 The araechae (detached quarters) of the house has three rooms on the front and one room at the side and a thatched roof. The building is arranged in order of room-room-kitchen from the left. What is particular about this house is that a chimney is installed on one corner of the kitchen. The family shrine has gable roof and separate fences, and it is made up as a large, single hall. 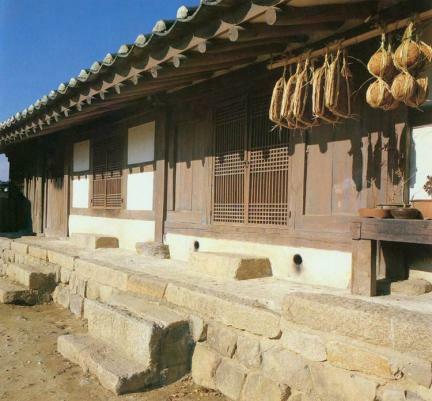 As one of the oldest commoner’s houses with a unique structure, this house provides valuable information in studying traditional Korean housing. 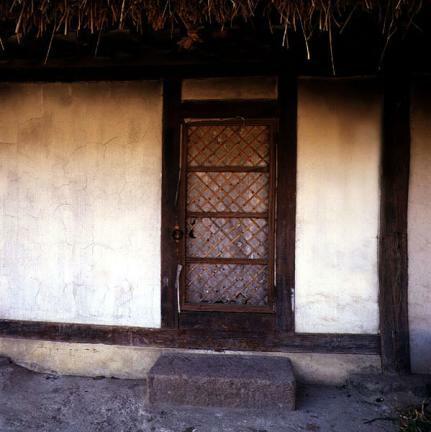 The house used to called “Kim Heon-yong’s Old House in Tap-dong, Gyeongju” at the time of its designation as cultural heritage but was renamed “General Kim Ho’s Historic House, Gyeongju” to reflect the historical fact that the house was owned by General Kim Ho (?-1592), who died for the country while fighting against Japan during the Japanese Invasion in 1592. * The house is usually open every day but might be closed on occasion due to the owner’s personal circumstances.